I just absolutely adored working with Jen & Henry! We had so much fun together, and all three of us bonded over one of our favorite hobbies, food! I love having foodie clients! Aside from that, they are just the sweetest things, and it’s so easy to see how much in love they are. You can tell when you watch the video below! It warmed my heart to see how happy they were on their wedding day. Besides that, how stunning did Jen looked her Monique Lhuillier gown? 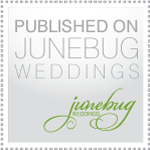 Jen & Henry got married in Del Mar at the Seagrove Park with the reception following at L’Auberge. This area is just one of my favorite places in San Diego, and it is the reason why I live in San Diego. The weather that day was perfect and I couldn’t be happier with how everything turned out. Thank you Jen & Henry! We wish you both a lifetime of happiness!! Before you watch the video, I also wanted to share Jen & Henry’s testimonial below. Here is their video by Classic Filmworks! A couple weeks ago we had the honor of planning & designing Jen & Henry’s sleek & chic wedding at L’Auberge in Del Mar. It’s one of my favorite boutique hotels in San Diego. Their ceremony was at Seagrove Park which offers one of the most stunning views of the ocean. I’ve lived in San Diego for 12 years now and the view at Seagrove Park still manages to take my breath away. Afterwards guests were invited to the terrace for dinner. That’s where L’Auberge has it’s prime real estate. A glass wall terrace with an uninterrupted view of the ocean. Jen is such a happy person and she wanted her wedding colors to reflect that! We decided on going with shades of blue from bright to a navy blue with pops of colors of bright coral (lucky for us it was peonies season, and there isn’t anything more gorgeous than a large bright coral peony), and bright green. Enjoy the sneak peek pictures of the details that was taken from my friend & colleague Joseph Matthew Photography. A couple of them was via iphone but the ones watermarked are Joseph’s work. To keep up to date with our happenings please LIKE OUR FACEBOOK! Language of Flowers: peonies are known as the flower of riches and honor. With their lush, full, rounded bloom, peonies embody romance and prosperity and are regarded as an omen of good fortune and a happy marriage.